The Redken All Soft Duo (2 Products) has been specially put together to meet the needs of dry, brittle hair that's in need of some serious TLC. Containing a shampoo and a conditioner, the products will repair and protect your hair, whilst producing a silky-soft texture. - L.M. 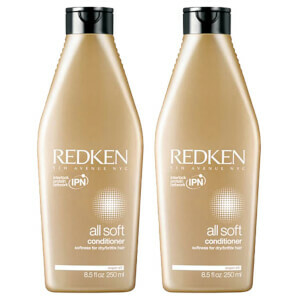 Redken All Soft Shampoo 300ml: Formulated with a Keratin Enrich Complex to replenish and soften your hair, the shampoo also contains an Interlock Protein Network, which rebuilds surface protection and provides progressive conditioning to strengthen your hair's core. Ideal for dry and brittle hair types, it's also infused with argan oil to create touchable softness. 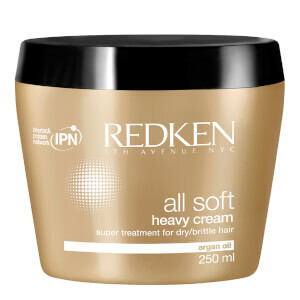 Redken All Soft Conditioner 250ml: Offering the same restorative benefits of the All Soft Shampoo, this nourishing conditioner will hydrate and detangle your hair for better manageability. My hair is dry and fine and sadly this didn’t help. Leaves my roots greasy (even with no conditioner applied there) and my hair is still dry. Have been using for over a week now and no remarkable difference. There are better products for the money. This seems to leave a film over the hair to mask the dryness but doesn’t helped it. I wouldn’t buy again. I have used Redken all soft for years! 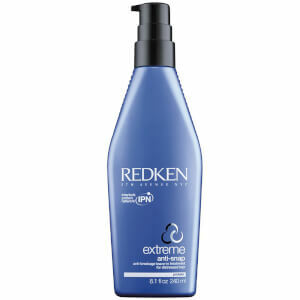 I have tried other cheaper brands but always come back to redken all soft. My hair is thick and dry and this is the only type of shampoo/conditioner that makes it manageable. 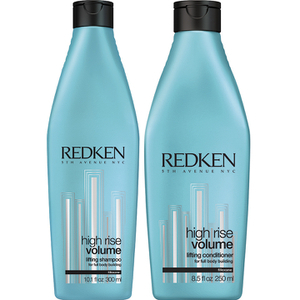 I have thick, long, dry hair that is bleached so is far from being healthy, but after one use of this Redken All Soft Duo, my hair really was the healthiest it's been in years! I went in to work the next day and everyone was commenting saying my hair looked different as if I'd been to the hairdressers, but the only change was using the all soft conditioner. My hair was soft, shiny and easy to style but all I had to do was blow dry it and it had amazing volume but no frizz. It's worth its weight in gold! I have used head and shoulders since getting a few flakes years ago. I have tried many other shop bought shampoos (non anti dandruff) and the flakes always returned. The Shampoo performs nicely and lathers up, even when my hair is a bit greasy there was no need for 2 washes as I used to with my old shampoo. Also the flakes haven't returned since using this shampoo. The conditioner leaves my hair so soft, I would highly recommend the Redken Range to anyone especially if you have thick dry hair like mine.